This is the most powerful wazifa to increase mother’s milk | dua to increase breast milk & Quranic prayer for successful breastfeeding. Maa ka doodh agar kam ho toh Maa ka doodh badhane ka wazifa. Breast milk / Mother’s milk provides the ideal nutrition for infants. It has a perfect mix of all the required vitamins, protein, and fat – that your baby needs for healthy growth. And it’s all provided in a form more easily digested than infant formula. Breast milk contains antibodies that help your baby fight off diseases, viruses and bacteria. 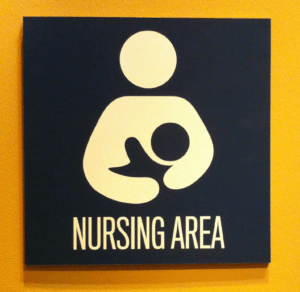 Breastfeeding lowers your baby’s risk of having asthma or allergies. Plus, babies who are breastfed exclusively for the first 6 months, without any formula, have fewer ear infections, respiratory illnesses, and bouts of diarrhea. They also have fewer hospitalizations and trips to the doctor. “And mothers shall breast-feed their children for two full years – for those who wish to complete the term of milk feeding” (Surah Baqarah verse 233). ALLAH’s Prophet peace be upon him said, when a mother feeds milk to her child, for every sip she feeds she gets reward euivalent to giving life to a living being. 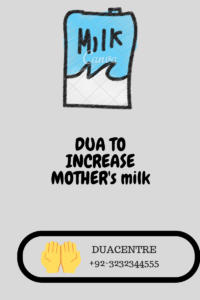 If some mother’s milk is very less, then to incrrease breast milk do any of this powerful wazifa to increase mother’s milk | dua to increase breast milk. The different islamic ways to increase breast milk are described next. Take a glass of milk. Recite the name of Allah “YA MATEENU” 111 times. Blow it on milk and drink it. 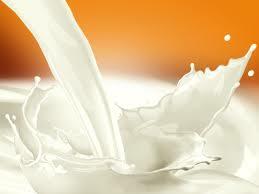 In sha ALLAH very soon you will see an increase in milk production. Read the given verse 21 times. Mix in food and eat it. In sha ALLAH breast milk will increase. Recite the above verse 111 times. 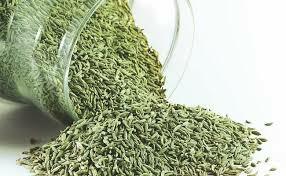 Blow it on fennel seeds. Repeat this procedure everyday till you complete 11 days. After this do the following procedure to increase mother’s milk. Crush the fennel seeds into powder. Mix it in hot water to make a tea out of it. Drink it thrice in a day. Mothers can breastfeed their children upto 2 years. After 2 years it is impermissible to breastfeed. Another Quranic prayer wazifa for successful breastfeeding is written below. In order to do this first perform ablution. Recite the following verse for 41 times. Then take a china plate and write on it this verse with saffron and rose water. Wash it and collect it’s water in a bottle. Mix this water in your regular drinking water and drink it thrice a day. You will get the effective results. “Aur maayein apne bachon ko doodh pilayein poore poore 2 saal, yeh uske liye hai jo doodh pilane ki muddat poori karna chahe”. Allah ke Rasool Sallallahu a’laihi wa sallam ne irshad farmaya keh jab koi maa apne bache ko doodh pilati hai toh ise har har ghoont par aisa sawaab milta hai jaise kisi jaandaar ko zinda kardiya ho. Aur jab wo doodh chudati hai toh ek farishta uske kandhe par thapki deta hai aur kehta hai keh apne aamaal naye sire se shuru kar. (Yani tere gunah baksh diye gaye hain). (کنز العمال حدیث نمبر45152). Yaqeenan maa ka doodh dauran e hamal aurat ke andar paida hota hai aur bache ki paidaish ke qareeb 24 ghanton baad iski faraahami mumkin hoti hai. Yeh jinsi hormone Progestrone aur Prolactin se milkar banta hai. Maa ke doodh mein jaaduyi asar paaya jata hai. Bache ki paidaish ke baad chand hafton ke dauran uska mukammal nizaam e hazam maa ke doodh se hi nasho numa paata aur mazboot hota hai. YA MATEENU 12 baar rozana doodh par dum karke piya kare. In sha ALLAH doodh badh jaayega. Taa husool e shifa yeh amal jaari rakhein. 3 martaba yeh aayat e kareema namak par padhkar dum kare aur use khila dein. In sha ALLAH doodh mein ziyadati hogi. Read the Quranic dua & wazaif with correct pronunciation in accordance with the rules for reciting holy Quran. 3). If you are not getting success even after performing this dua , you may collect amulets from us for the solution of it. 3) Yeh amal karne ke bawajud bhi kamyabi hasil nahi horahi ho toh humse rabita karein. Agar masle ka hal ke liye Taweez/naqsh lena chahen toh wo bhi miljayega.